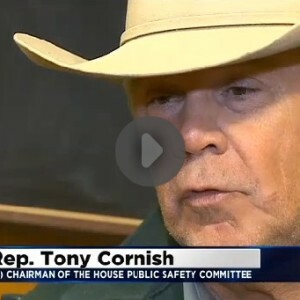 Petition To Allow First Responders To Carry Concealed Is Circulating In Tennessee; What Do You Think? 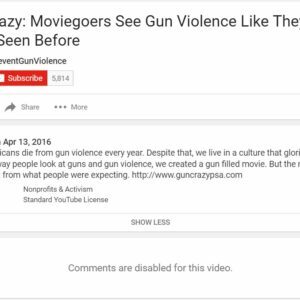 If there’s one truth about YouTube, it’s this: If the owner of a video disables comments and upvotes/downvotes, it’s a video that should not be trusted. Agreed? 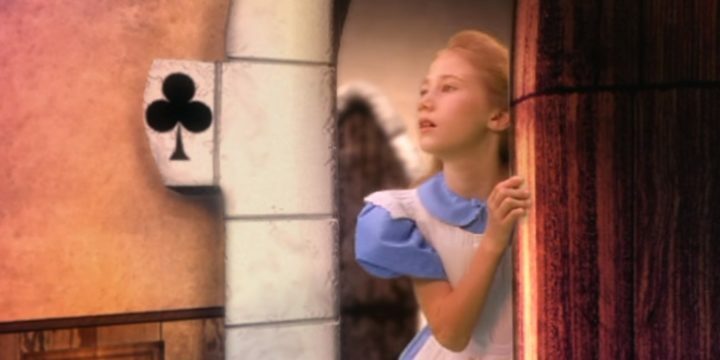 The first video was produced by the Brady Campaign and features a Alice In Wonderland theme. We’re off to a great start, I know. 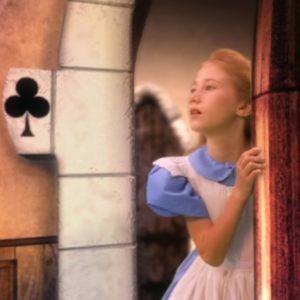 In the video, Alice shoots herself in the face. Yea, really. 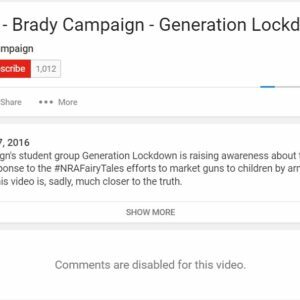 I understand that they want to get people to lock up their guns, but using a theme such as Alice In Wonderland is just… creepy and weird. 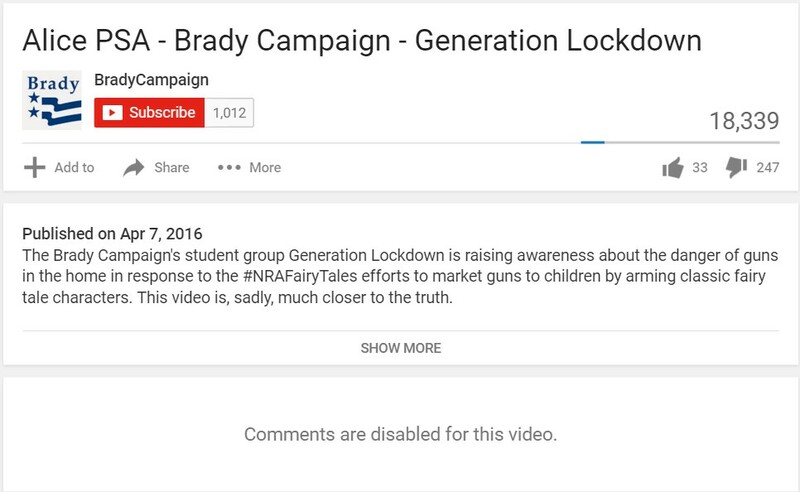 The video is said to be a response to a recent NRA publication titled Little Red Riding Hood (Has A Gun), but that story is about good vs evil. Granny is ready to take that wolf out. As the Washington Free Beacon reports, [The Brady Campaign] responded with a frank, well researched argument about how these portrayals are unproductive and offered alternate suggestions for crafting a more nuanced, accurate argument. Naw… I’m just kidding. They produced their own fairy tale which features Alice of Wonderland fame shooting herself in the face. And of course, they’ve disabled user comments. Their video likes aren’t looking too fantastic, either. Their likes vs dislikes aren’t looking too healthy, either. Moving on to what I’m really writing this article about… video 2. 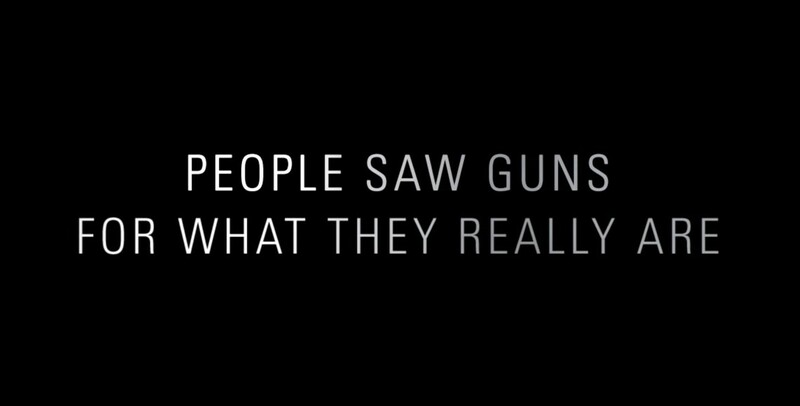 The second video comes to the world from States United to Prevent Gun Violence. This is the first I’ve heard of them, and they sure do what to make a point. I feel the point was missed, though. By a long shot. In the video, they fake a new action movie FILLED WITH GUNS!!!! and dupe people into thinking it’s a real movie that’s just been released. Once the theater fills and the movie starts rolling, everyone in the audience is in for a rude awakening. Give it a watch, and then let’s continue. Yea, I know. I’ll just start with the obvious parts. Their main argument is that our culture glorifies guns in Hollywood and beyond. Everyone seems excited to see this new blood, guts and guns movie. But what’s wrong with that, really? I appreciate a great action movie and if it has guns in it, so be it. Fact check: I’m not a criminal, but I enjoy movies with guns. Shocking! One of my favorite movie franchises is the Ocean’s trilogy. You know, Ocean’s 11, 12 and 13. Even though I have a slight obsession with the movies (that and the movie 21, which is based on the true story of some college kids and a professor knocking over Vegas), I’m still not about to go rob a casino. Or do anything illegal, for that matter. Do you know why? Fact check: I’m not a criminal. Just because you like something, or like the idea of something, doesn’t mean you’re destined to act out that very thing. There’s such thing as entertainment and for the vast majority of folks, that’s where it ends. And for good reason. We share these exact stories and videos so that people can have a better idea of the crime that happens in our country. And to be prepared for it if they choose to do so. 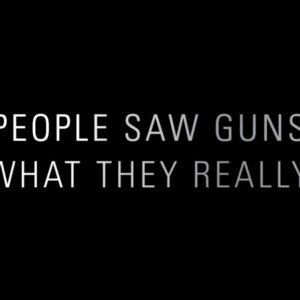 Remember, each real ‘scene’ that they showed in the video above was perpetrated by a bad guy and not a law-abiding gun owner. You know, the other 99.99999% of people with guns. 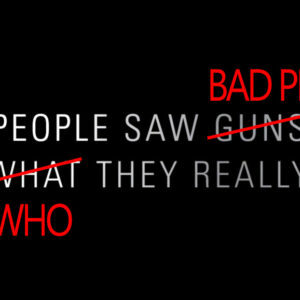 What it boils down to at the end of the day is what it always has… bad people exist and will try and do harm to others, whether they have a gun or not. In these particular examples, the bad guys used guns. But what if the victims were able to fight back in an effort to save themselves and others? Would they still be against guns then? I should create the same movie, but with real-life stories of law-abiding gun owners successfully defending themselves against the same bad guys we see in theirs. I wonder how the crowd would react with that motion picture. When interviewed after the presentation was over, a few people gave their thoughts to the camera about what they just saw. Let’s take a look at a few of those responses. I couldn’t agree more, and I’ll even say that it’s real life. Because it is. No person of sane mind would disagree with this first comment and if they do, they’re likely one of the bad guys. Again, this is a valid statement made by anyone with a heart. We’re on track so far. Wouldn’t this be a great argument for guns in the hands of the good guys that were unfortunate enough to be looking evil in the eyes? It’s a good enough argument for me, I’ll tell you that. There are hundreds of stories that make the news each year that demonstrate guns saving lives, and thousands more that are not reported on. Just because we don’t see it on a daily basis doesn’t mean they don’t happen. I am in a position where I see bad guys doing bad things each day, based on the stories I cover. 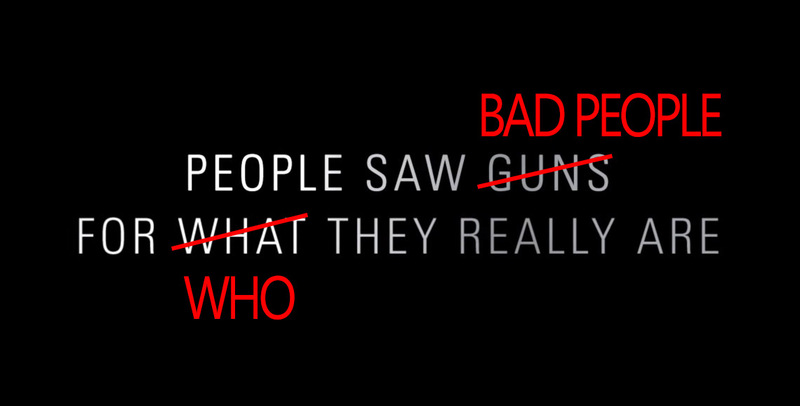 Adding a good guy with a gun into nearly every scenario is game-changing… for the good guy. As if this gentleman is saying that everyone who goes out and buys a gun is going to head out to murder people with it. That’s not how this works, and it’s not ever going to be like that. I propose a documentary on alcohol-related car accidents and any other negative effects of alcohol with the theme; “Before you decide to drink alcohol, watch this movie.” We know that everyone who has a drink will wind up killing someone, right? Wrong. It’s called being responsible, and the same responsibility comes with gun ownership. This video also doesn’t do too well in the comments section, or the like and dislikes. Why is that? 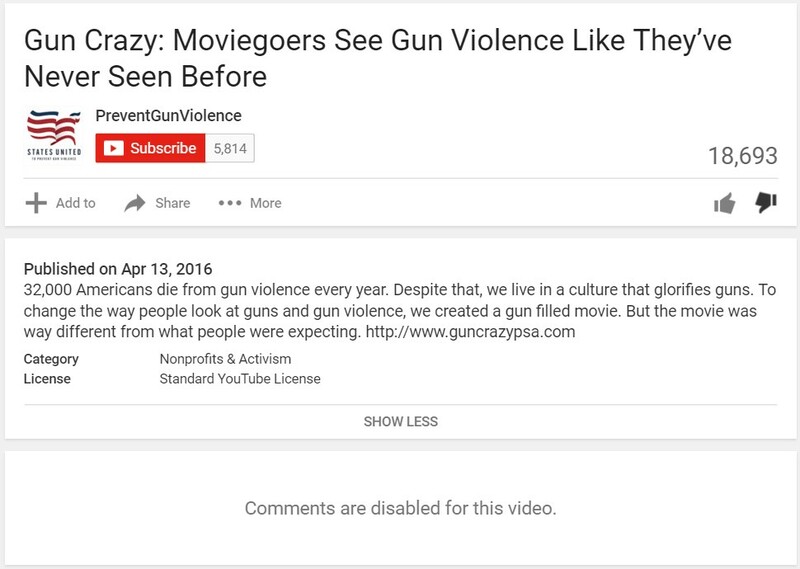 Because both were disabled for this video. I didn’t even know you could hide the likes/dislikes count from a video until today. Once again, a lot of time was wasted with the creation of a video that really doesn’t prove anything. At all. If anything was proven, it’s that more people should be in a position to defend themselves against the crazies. With guns. 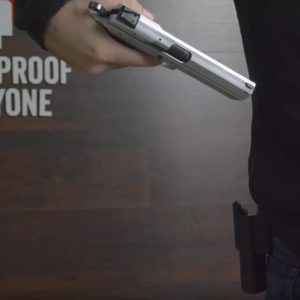 Watch This Guy Literally Stand Behind His Product: The Bulletproof Jacket. Yes, He Shoots Himself. 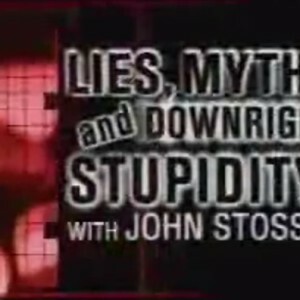 This video is from a 2003 ABC broadcast and shows us a few Gun Myths that exist. Just wait until 2:35 in the video and you're sure to chuckle and think "You don't say??! ".